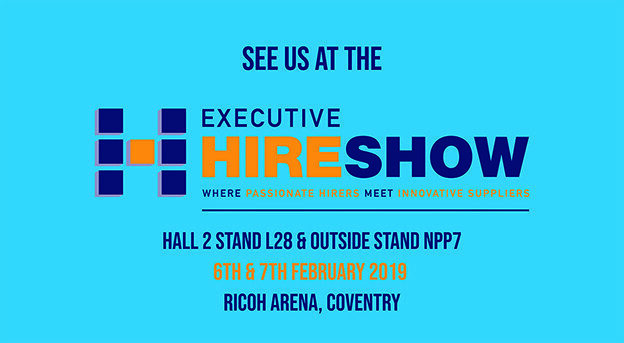 CPL will be exhibiting the K38p Van mount at the 2019 Executive Hire Show at the Ricoh Arena, Coventry on 6th and 7th February. Meet us in Hall 2 on stand L28 to discuss the leading innovations CPL have to offer. We will also be demonstrating one of our leading van mounted access platforms, the K38p Cutaway van mount outside on stand NPP7. Discover the K38p cutaway van mount access platform on a 3.5t Renault Master Cutaway in action at the perfect show for the rental industry. This conversion boasts some of the best features we offer on our van mounted range. The K38p Renault Cutaway has an impressive 13.7m Working Height and offers two Working outreach’s depending on the load in the basket. These are 8.2m with a safe working load of 120Kg and 6.8m with a safe working load of 200Kg in the basket. This innovative conversion is only 5.8m long making it easy to maneuver within urban areas. It can also be fitted with ‘Green pack technology’ meaning that the engine can be switched off while the boom is in use. This feature is ground breaking for any company interested in an eco friendly approach. Would you like a demonstration of the K38p Renault Cutaway van mount or to discuss our products? Contact us to book an appointment with the sales team at the show.